In the second race of the National Hot Rod Association (NHRA) Mello Yello Series Countdown to the Championship, Sovereign-Star Racing drivers No. 5 Michael Ray and No. 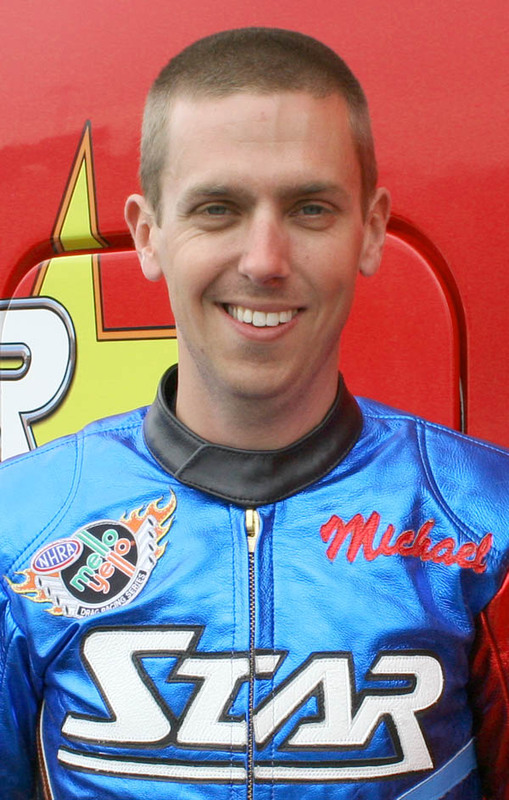 6 Scotty Pollacheck competed at the top of the Pro Stock Motorcycle field in terms of power and engine performance, but both racers struggled on the Christmas tree at the AAA Texas NHRA FallNationals at Texas Motorplex in Dallas, Texas. After Friday’s qualifying sessions were rained out, the teammates only had two chances on Saturday to make the top 16 field for Sunday’s eliminations. 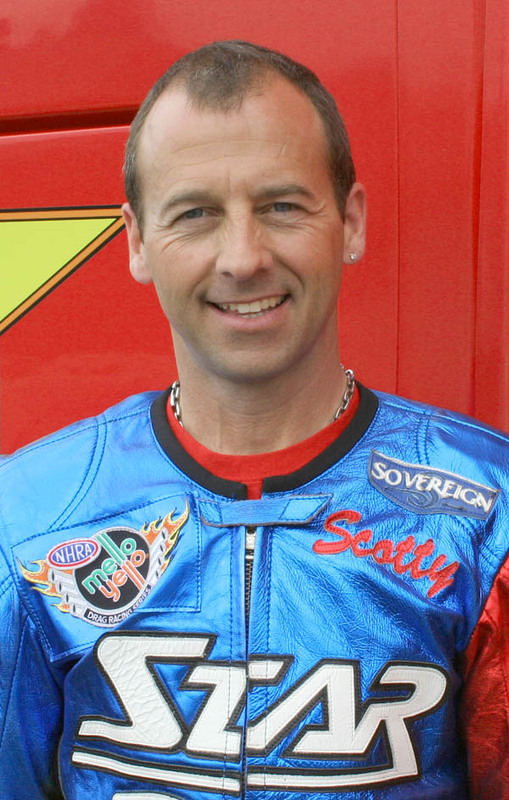 Both S&S-powered Sovereign-Star Racing motorcycles qualified first round and improved their performance during the second session later that day, leaving Ray at the No. 4 position and Pollacheck at No. 9 going into eliminations. During round one eliminations on Sunday, both motorcycles improved to their quickest ETs (Elapsed Time) of the weekend to advance Ray and Pollacheck to the next round. Ray posted a 6.855-second pass at 195 mph in round one against Angie Smith’s 6.992/187 mph. Pollacheck also took a big lead with his 6.884 ET against Adam Arana’s 7.070-seconds. Ray’s 6.855 pass was the quickest ET of the day for Pro Stock Motorcycle, and Pollacheck’s 6.884 run was one of the top three quickest of the day. After posting good reaction times during the first round, both racers struggled with the Christmas tree during round two. Ray left the line too soon and red lit against Eddie Krawiec, who went on to claim his first win of the 2013 season. Pollacheck also went red against Hector Arana during round two. “It was great to see the bikes running really well this weekend, especially with only two chances to qualify. Michael and I both had good lights during first round (of eliminations), but the tree got the best of us the next time up for round two. It just goes to show that anything can happen on Sunday when two of the quickest motorcycles can go out because of red lights,” Pollacheck said. Both Pollacheck and Ray posted better ETs than their round two opponents, with Pollacheck’s 6.962-seconds versus Arana’s 6.970 and Ray’s 7.325 against Krawiec’s 10.790. “I’ve never been more devastated. Mentally, it was the worst weekend of racing for me. We put on a great show. We had a great bike. Our team spirit was way high. It’s unfortunate that I let the team down, because that’s two weeks in a row that every round I had in qualifying would have won it on Sunday. I have to do a better job of being more consistent as a driver,” Ray said. “We got beat at the tree. Michael was the quickest bike of the whole day on Sunday, with a 6.85 at 195 mph first round. Scotty was close to second quickest of all for the day with a 6.88 first round. Both of them red lit second round but still outran both competitors. It does not matter how quick or fast our motorcycles are, you can only win with green lights. We as a team and our drivers must do better. We will try again in five days in St. Louis,” crew chief and Star Racing owner George Bryce said. 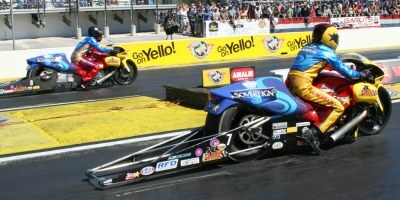 In the overall NHRA Pro Stock Motorcycle points standings, Ray is currently at No. 5, and Pollacheck is No. 6. Ray, Pollacheck and the Sovereign-Star Racing team will compete again this weekend Sept. 27-29 at the AAA Insurance NHRA Midwest Nationals at Gateway Motorsports Park in St. Louis, Mo. This race will mark the third back-to-back race of the six-race NHRA Countdown to the Championship.